Prior to the launch of Virgin Trains East Coast the East Coast website was the best place to buy all rail travel thanks to the excellent rewards scheme that gave points for all rail travel. In addition there was an additional discount of between 2 and 10% for bookings on East Coast. Although the rewards scheme was scrapped the online discount still remained. This will all change in 2016, the online discount is being scrapped from 2nd January meaning that in addition to the usual new year fare rises those who book direct will also experience an additional rise due to the removal of the discount. The online discount was introduced by GNER and has continued under the subsequent franchises run by National Express and East Coast. This also means as long as you avoid sites that add fees (such as The Trainline) you will pay the same by booking with a third party. Note: we have updated this guidance on 22 December 2015. Virgin Trains East Coast have started to phase in their recognition schemes and are providing surprises such as free tickets and lounge passes. Therefore we now see it may be worthwhile continuing to book Virgin Trains East Coast tickets direct. There's still no reason to book other operators tickets via Virgin Trains East Coast so we suggest one of the options below. However if you still don't consider it worthwhile booking direct and would rather book all your rail tickets in one place then the options below are still worth considering. If you believe Nectar is 'better than nothing' then booking via a FirstGroup website is your best bet as they give Nectar points on all rail journeys. If you don't care about Nectar points then just select any other rail operator, as long as they don't charge booking fees you're good to go. If you'd like to sign up to TopCashback you can do even better. 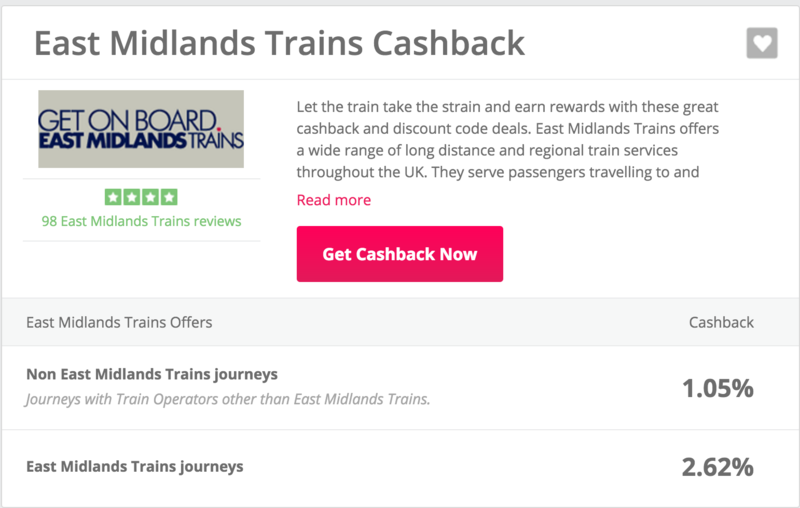 First TransPennine Express and East Midlands Trains both give 1.05% cashback on train journeys from other operators (so this includes Virgin Trains East Coast). 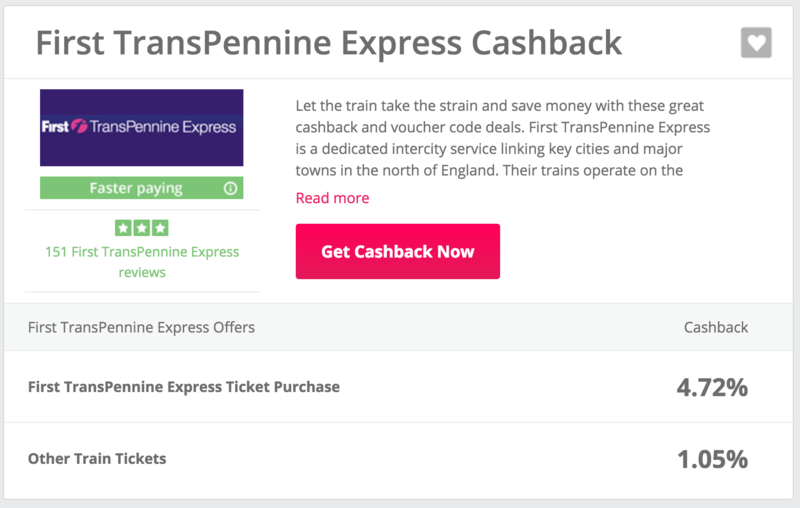 In fact TransPennine Express also gives Nectar points in addition to the cashback so there's no doubt that it's a better option financially than booking directly through the Virgin Trains East Coast website. So if you'd like to earn cashback on your rail bookings sign up to TopCashback. Are there still times when booking direct is better? As mentioned earlier in our 22 December 2015 update, as Virgin are now sending out gestures of recognition we believe booking direct makes sense (for Virgin Trains East Coast services only, you get nothing for West Coast) we do expect the rewards given throughout the year are likely to be more than the cashback gained, however, if you prefer the certainty of cashback then using the options above may still suit you more. If you collect Flying Club miles or use the seat selector you're still better off booking Virgin Trains East Coast tickets direct but you should still book tickets for other rail operators on other sites as there's no advantage booking them on Virgin Trains East Coast. The final remaining benefit is if you're booking small groups from 3-9 the discount is only available on the Virgin Trains East Coast website. Please note: the link to TopCashback is an affiliate link. Save East Coast Rewards will receive a bonus for referrals through this link, in return you will also receive an offer for being referred.